ground and is the plan on which the structure is raised. Before all else, it is necessary to establish an understanding of what the Vedic Altar (agni, vedi) is and its functions, as well as its relation to the Hindu Temple of more recent vintage. The former is pure geometry but of the sacred kind. What sanctifies the exercise is the ability of the Seer who creates the design to instil in the construction the Vedic principles of equivalency and correspondence, upon which all its symbology is based. This is significantly different from the later Tantric exercise involving yantras – geometric designs specifically constructed to attract and to house the power of a particular deity. Only a sage of the highest order can create a form that allows for equivalency to occur. That is, a geometry that not merely represents but actually becomes that very thing. In the language of this New Way, it would be ‘the symbol becoming the thing symbolised’. This distinction will become clear when we analyse in depth a contemporary model of the very same Vedic altar. The point to bear in mind is that the Vedic Altar was not a symbol, or even a form favourable or appealing to a particular cosmic force: it was a process. This is its remarkable feature. And for this reason it has endured in the consciousness of the civilisation throughout the ages in an unbroken line. But has that really been the case? It is acknowledged that the most ancient scripture the world knows, the Rig Veda, remains largely incomprehensible. As such, are we justified in believing that the Vedic altar, which was central to the culture, is what we believe it to be? I will attempt to answer this question in the course of this analysis, because in my view this important feature of the ancient genius has been assessed in its character of ritual at best; or, at worst as merely a primitive expression of an unsophisticated society. To make the geometry of the altar capable of becoming the very thing symbolised, an insight into Essence as contained in Form is demanded, and the ability to transcribe that essence into a geometry that is its faithful reproduction in the physical dimension. Far from being a dismissal of physicality in favour of its more ethereal substance, the Vedic Seer was able to identify that essentiality, first and foremost, and to construct a bridge between the plane of Truth where this essentiality abides in its purest form and to establish that uncontaminated essence in our material universe via the bridge of his consciousness. There is a tendency among scholars to view the Vedic exercise as primitive. They concede that the Vedic Altar was the foundation of what later evolved to the Hindu Temple as we know it today. But what has been missed is the fact that the latter is, in a sense, a step down on the ladder of the evolution. It was true to the evolution nonetheless in that such manifestations correspond to processes that are circular and all-encompassing, even in their apparently lesser expressions. What was lost millennia ago was precisely the ability to construct that bridge between subtle and physical in the true Vedic manner; that is, without the need for embellishment. The Hindu Temple does represent a later stage in the process, but not exactly higher, as some scholars believe. The former was less physical, less material, less explicit, if you will, but closer to the cosmic reality in the sense explained by Plato: God geometrises. And certainly there is no civilisation that has left more detailed records of this ‘geometrising’ than the Vedic. In view of the extensive documentation at our disposal, though of a later vintage, it is clear that the Vedic Rishi was able to use geometry for the purpose of more accurately presenting that divine process. However, there had been no contemporary example, or updating, of the Vedic exercise until the revelation of the same ability in a 20th Century Seer. The point to establish before all else is that none of the examples of sacred geometry that have survived until today are of the Vedic kind, because none incorporate Equivalence and Correspondence, the pillars of the Vedic experience. They are exercises in abstraction, very far removed from the earliest Veda – functional perhaps as demanded by our modern technology, but lacking in sanctity. In the contemporary model I will be presenting in the course of this series, the contrast between the ancient and modern approach will become evident. We are fortunate to have such a revelation at our disposal, a non-speculative example for comparison. Often when dealing with ancient scriptures, though we may recognise that they originated in a superior consciousness, we are unable to apply them in the contemporary context. Until now this has been the case regarding the Rig Veda and its sacred geometry and architecture. In the Hindu Temple, in the effort to remain faithful to the Veda, the ability to bridge subtle and physical was accomplished through the personification of that essence in the person (personality) of the deity enshrined in the garbha griha of the temple, and in the store of Puranic myths so essential to the temple revelation. This made the cosmic experience accessible to a wider audience without a doubt; but gradually the means to maintain a real continuity with the function of the vedi was lost. The means to do so was an enlightened understanding of Time and how it is Time that bridges dimensions. Thus in the Vedic Altar the geometry of the structure had the ability to draw Time into play with great precision – precision being the keyword of the process. But the difficulty lay in Time’s elusive nature. Therefore, only a sage of the highest order could come face to face with that greatest and most demanding of all powers, create of it an ally, and thereby devise the means to establish that alliance in the physical dimension for the good of the community for which the vedi was devised. Without that precise knowledge – of the Vedic order – the sacred cannot be instilled in the geometry, no matter how carefully the construction is carried out. In other words, ever and always the conscious experience stood behind the revelation. That came first; the correct form to express the experience came next. When the knowledge of that experience was lost during the last millennium the result has been forms devoid of essence. We could say that essence is the substance foundation of all form. This is true, but what is missing is the Bridge. That is, the ability to transcribe that essence into a special form that allows it to stand uncontaminated in our material dimension at a special place and at a special time, a direct transposition as it were. Without that Bridge via the consciousness of the Seer, geometry may be functional but it is not sacred. Without the Bridge any analysis of the geometry of the early Vedic Altar or of the Great Pyramid at Giza, or the temples at Luxor, or even of the Hindu Temple is an exercise in the abstract and hence speculative. Only a Seer can explain the truly sacred in geometry which perforce means applicability. Once again I must remind the reader that scholarship in these matters is simply speculative because the Vedic Altar cannot be understood in the abstract. The means to maintain the connection from the ancient past to the present has indeed been via the Hindu Temple. But being a process of embellishment, as sublime as it may be, with the passage of time veils accumulate to cover that essence and move it deeper and deeper within. There is even a Godhead that describes this process in the event that it was overlooked. Guha, the hidden one, Shiva’s victorious Son is often imaged as hidden in veils; the seeker is encouraged to remove those veils and reach the essence of that deity; more specifically, the cosmic energy personified in that particular form. This particular God and the cosmic process he embodies is one of the more sophisticated conceptualisations of the Hindu experience. These personifications in the Hindu Temple present the seeker with different stages in the process described in the Veda as the ‘journey’ – which in our terminology would be the initiation. Aside from the geometric/mythic, each individual carries the same ‘journey’ etched in his or her very own soul. In our innermost depths, in the cave of the heart there is Guha, in the point that keeps the soul rooted in matter: the centre of the Point itself. Thus, the Hindu Temple transcribes the Vedic Altar in more easily accessible terms. The intention can hardly be missed when we enter the garbha griha of the Hindu Temple which is a marvellously faithful description of the individual soul. No other civilisation has demonstrated this ability because no other has been entrusted with safeguarding these sublime truths of human existence for the evolution. There are grand monuments to glorify God – the Gothic cathedrals, or the Egyptian temples, for example – but they have not re-constructed the human soul as we find in the Hindu Temple; the soul being the repository of all wisdom, and even all ‘science’. What is intriguing in almost all analyses of sacred architecture is the assumption that the progression has been from primitive to more sophisticated. In this prevalent view there is little understanding of the geometry of the Vedic Altar in evidence. Stella Kramrisch does treat the subject from a scholar’s standpoint with more dignity. She makes this clear in her magnum opus, The Hindu Temple where she states, ‘The Hindu Temple is in no way derived from sepulchral architecture’.1 But eminent scholars such as Prof S. K. Ramachandra Rao in his The Indian Temple, its Meaning, considers that the most important feature of the Hindu Temple – the gopuram – evolved from funeral mounds of more primitive societies, progressing gradually to the Mountain symbolism of the gopuram. This is an example of the missing link between the Vedic/Puranic Ages and our own times, as I will explain further on. But there was actually no disruption between the two because the gopuram is indeed the Mountain for the Seer, though not in the minds of scholars in the same way. The Mountain symbolism did not evolve from any primitive funeral mound of stones placed helter-skelter to mark the grave of a hero or a king or a tribal chief. Rather, it was Time itself that densified the symbol through the sacrifice the Altar was meant to house. The main protagonist, as the Veda themselves prove, was Time experienced as the Earth Year of 365 days – our own sacred, divine measure as established by our planet’s rotation around the Sun in that amount of time. If Hindus continue to worship the Sun on a daily basis by chanting the Gayatri Mantra from the Rig Veda, it is time to reach a deeper understanding of why this worship has been maintained irrespective of the criticisms Hindus have to endure such as fostering primitive superstitions, similar to other ancient underdeveloped societies.2 The question would then be, how do we give a ‘form’ to that Year of 365 days which we acknowledge to be the central figure of the Vedic sacrifice? We may safely state that the Year was the principle ‘deity’ of the sacrifice; therefore it is that very annual rotation around the Sun that can provide the understanding of exactly how the Mountain became enshrined prominently in the architecture of the Hindu Temple. In all cases we turn to the Sun for guidance. At the same time it is the divine measure of the Year that is the missing link between the modern and the ancient. In other words, the Earth’s 365 days divided into 12 months is the key – lamentably, a key that has been entirely lost. The symbol became densified or more explicit in the later temple. But Time is admittedly elusive. Nonetheless, the reason for this densification is explained by the sphericality of the evolutionary process and the need to integrate more and more energy within its embrace. The intention of the Supreme Power guiding the evolution on Earth has been to materialise the Symbol to such a degree that it would be preserved through times of great turmoil, particularly when the Knowledge would be forced underground at the close of the Vedic Age. The strategy was through the Hindu Temple, rendering the symbolism more explicit but also a step removed from the earlier sophistication. The process has come full circle now with the revelation of the updated vedi in which the year is also the central focus, playing exactly the same role as it did for the Vedic Rishi. 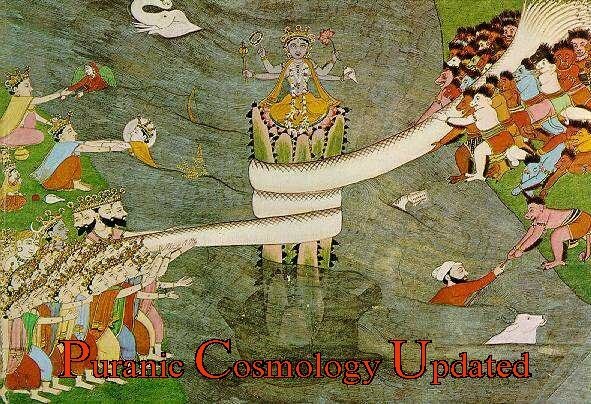 To make this updating possible an applied cosmology had to be formulated before all else by which we can understand the profound wisdom of the Vedic system of equivalency. We have countless scriptures providing all the details of how temples should be built, but none explain the yoga of the Seer that gave rise to the sacred geometry of the vedi. However, this process has been carefully preserved in the Rig Veda itself, but the verses are acknowledged to be a sealed book to the uninitiated, and to the scholar who approaches them without the due preparation demanded. It stands to reason that if the science of Time is lost then all attempts at transposing the symbol cannot imbue the architecture with the sacred, or to render the symbol the ‘thing symbolised’. This is the situation today regarding the Hindu Temple. In losing the thread to the ancient science the scriptures became empty words because they have not been backed up by the initiatory experience. Therefore Sri Aurobindo wrote in his masterful The Secret of the Veda that for 2000 years no Indian has understood the Veda. We must distinguish clearly between higher initiatory knowledge and learning by means of scholarly scrutiny of the scripture. This series intends to make that distinction clear because we will base our discussion on the presentation of the Vedic Altar updated for our contemporary civilisation. This means that we will live the experience of the Vedic Age through a Seer who graced the Earth with her presence during the last century and has left an impeccable record of the accomplishment. 1 The Hindu Temple, Vol. 1, Stella Kramrisch, ‘Symbolism of the Square’, Motilal Banarsidass. 2 Native American societies come to mind that continue to hold rituals allegedly that are meant to encourage the Sun to rise each day. At least this is the interpretation given by scholars. The true meaning of the ritual may be quite different.